Does shooting meth make it harder to quit? Thank you Debbie for your advise there was something I forgot to mention about my husband the way my husband does meth is by shooting up. Doesn't that make it even harder to quit? From what I understand he has been doing it like that since around 2006. Comments for Does shooting meth make it harder to quit? Generally, how a person takes a drug does not effect their difficulty in recovering from there addiction. Many people snort heroin rather than shot it but it's equally as difficult from them to quit as it is for someone who is shooting heroin. 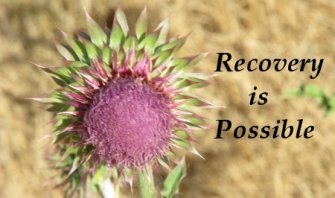 Each of us is unique, which is why addiction recovery is so challenging. None of us will react exactly the same to treatment for addiction because our brain is effected differently by the drug. Meth is very harmful to the emotional heath of the addict and withdrawal can take up a month. The emotional effects from meth can linger even after withdrawal, but is the addict stops using then with time they should be able to regain their mental health. All of this is true regardless of the meth is snorted, smoked or shot. Shooting meth gets the drug into the brain faster which is why the more severe addicts often begin shooting meth rather than snorting or smoking it. Since your husband has been shooting meth since 2006, he is likely severely addicted and his recovery will take quit a bit of time and patience, but it is possible.